I was quite a failure in 2010 for not reading as much as I should. I finished reading only three books. 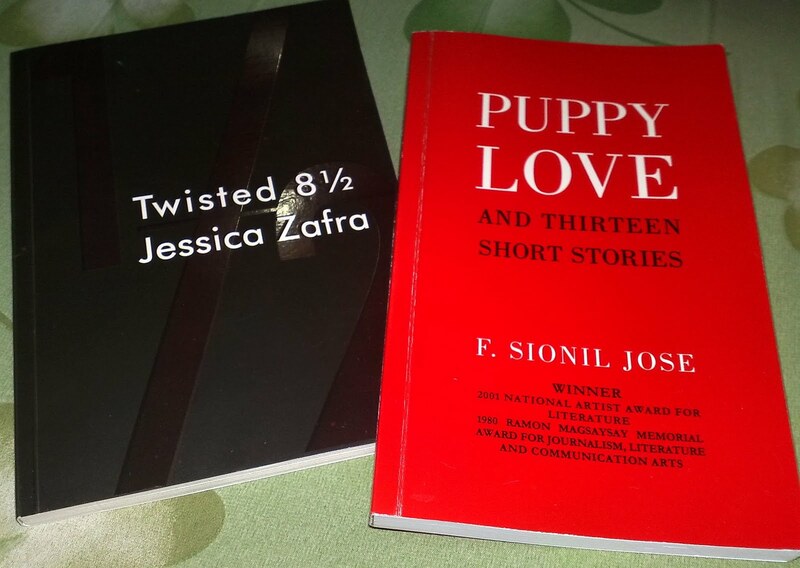 The three I finished are Kitchen Confidential by Anthony Bourdain, Twisted 8 1/2 by Jessica Zafra and Puppy Love and Thirteen Love Stories by F. Sionil Jose. I have recently received a new book: Amarillo Slim 's Biography entitled In a World Full of Fat People . I received it from Sir Gilbert Yap - Tan. Amarillo Slim is one of the earliest's champions of the World Series of Poker and he lived most of his life gambling nd hustling. Smartly. People have been raving about Eat, Pray, Love and I have been initially turned off by the word "pray" in the title, but there is just sooo much buzz about the book, that I must read it. I asked some people and they say I won't be turned off by the "pray" part. I usually buy a book, read it, and watch the movie adapted from the book. In this case, I watched the movie's trailer and got even more interested in the book. The time has come for the Harry Potter movie series to come to a close. It's both exciting and sad. Just like the way we felt when the final book, Harry Potter and the Deathly Hallows, was released. The final movie of the same title, Harry Potter and the Deathly Hallows will be released in two parts. The first part will be shown on November 2010, while the final part will be shown on July 2011. I'm a professional multi-tasker who works as a Legislative Research Assistant, a Marketing Consultant, a Professional Blogger, a Teacher, and an Events Organizer.